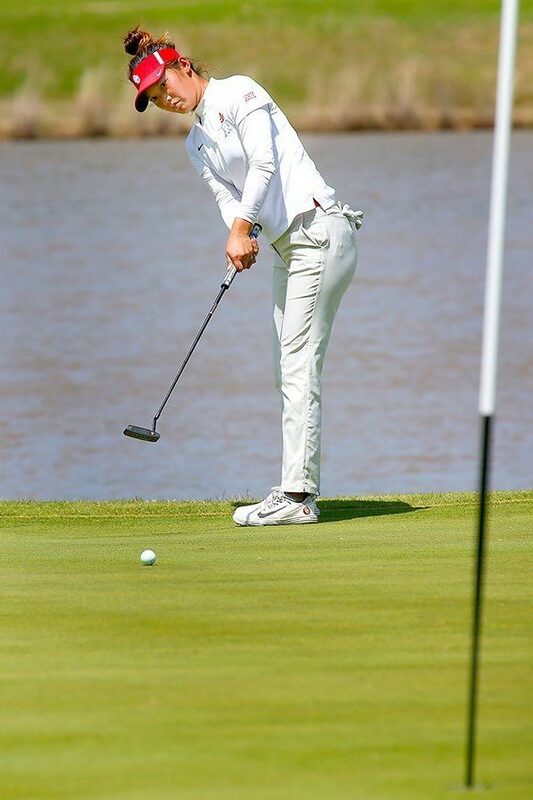 Second-ranked Texas took the top four spots in a dominant performance at the Big 12 Women’s Golf Championship which concluded Tuesday at the Golf Club of Oklahoma, running away with the team title by 37 shots over Baylor. Agathe Laisne won the individual title at 2-over 218 after a final-round 75, three shots ahead of Longhorn teammates Kaitlyn Papp and Sara Kouskova. Emilee Hoffman finished fourth at 223. For the state schools, Tuesday was a mixed bag. No. 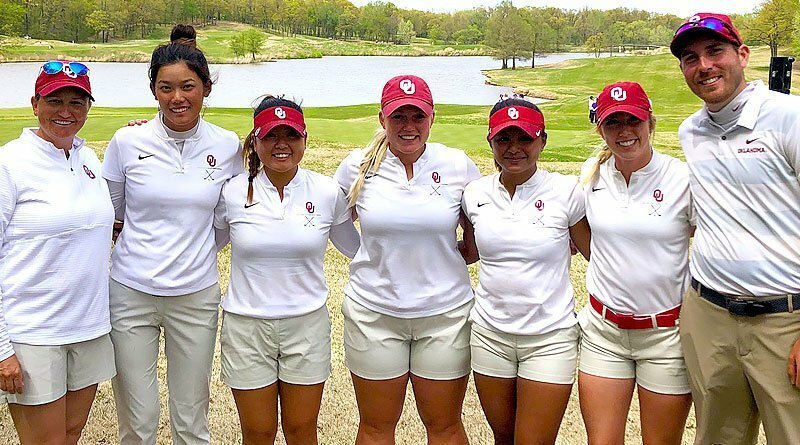 18 Oklahoma improved by three spots to finish third and take some momentum into hosting an NCAA Regional May 6-8 at Jimmie Austin OU Golf Course. Senior Julienne Soo, after struggling the first two rounds, began to figure out the Tom Fazio design, matching Papp for the day’s best score of 1-under 71. 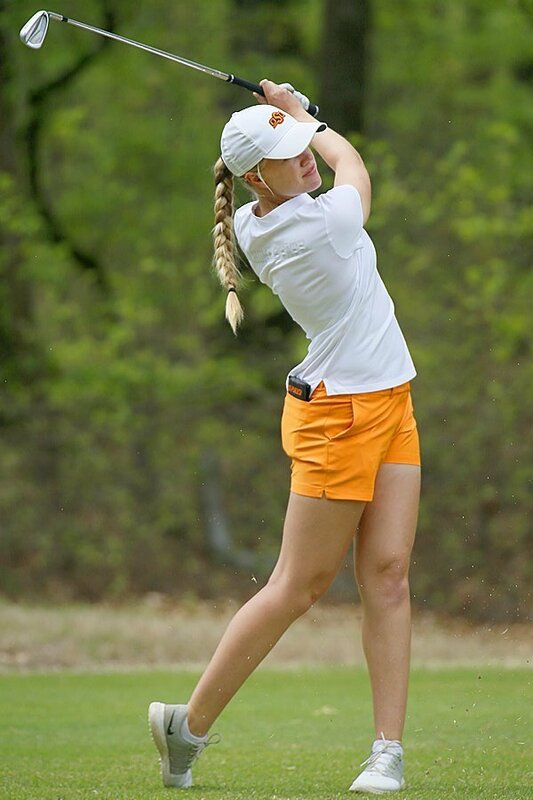 Teammate Libby Winans closed with a 76 to notch a top-10 finish, placing sixth at 225. Oklahoma State slipped from third to sixth after a final round 315, its worst of the tournament. Nothing is certain, but OSU’s window to a regional berth, barely a crack to begin with, may have been slammed shut. 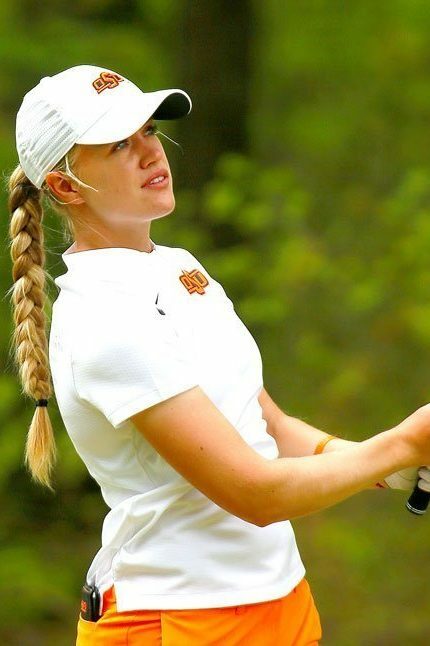 The Cowgirls, one of only 10 teams to qualify for regionals every year since the qualifying format was introduced, came into the event ranked 67th by Golfstat. Although 72 teams are invited to regionals, some spots are automatic berths to conference champions who are not necessarily ranked in the top 72. It was thought OSU would need to move up to about 55 in the rankings to earn a spot in regional play. OSU coach Courtney Jones met with her squad in a close circle after and told them how proud she was of the effort they gave. She started three freshmen and a sophomore and has a talented recruiting class of five newcomers lined up for the 2019-20 season. Jones said she thought all of her players have the ability to improve greatly and become top flight collegians. Leading the way in this event was junior Michelle Forsland, who tied for eighth at 227. 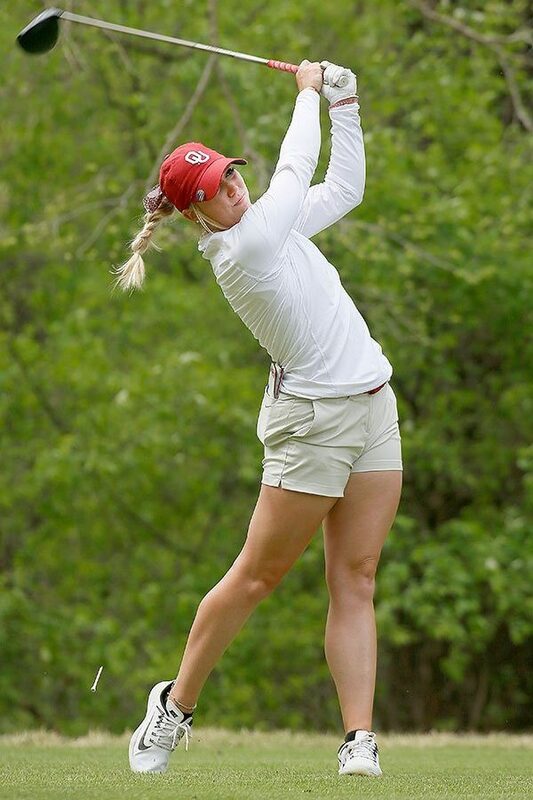 Lianna Bailey, a 22-year-old freshman from England that Jones recruited after originally trying to sign her younger sister, tied for 14th at 229. Also for OSU, Han-Hsuan Yu tied for 23rd at 234, Sara Camarena tied for 37th at 238 and Emma Whitaker tied for 41st at 244. The Sooners shot 301 in the final round. Kaitlyn Milligan and Soo tied for 21st at 233, Mikhaela Fortuna tied for 23rd at 234 and Hannah Lee placed 30th at 236. Soo made two birdies and just a lone bogey after making 14 bogeys, two double bogeys and a triple in the first two rounds. She made nearly all her four- to six-foot putts after missing many of them in the first two rounds. 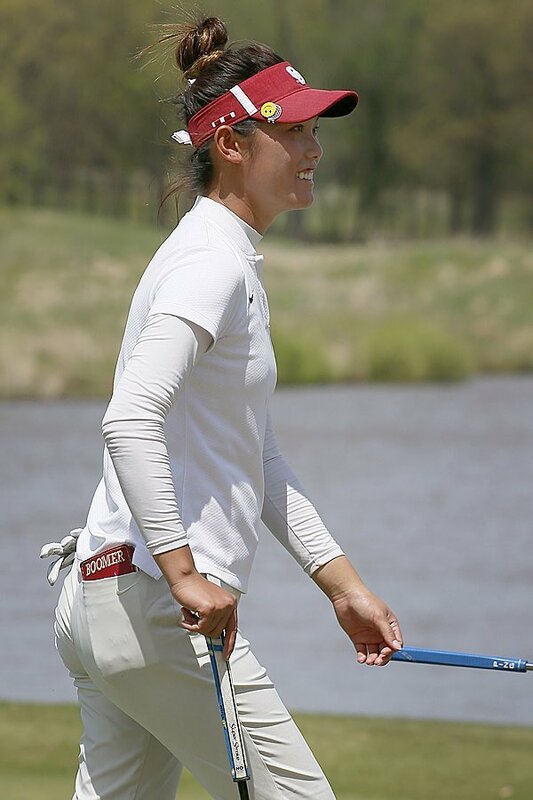 As unfamiliar as the Sooners were with the Golf Club of Oklahoma, they will be at home when the regional begins at “The Jimmie” as the players call it. 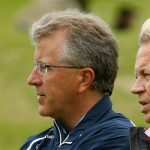 Soo said there may be some added pressure playing at home, but that will be offset by the players knowing every inch of the course. Soo said all the times the team practiced in terrible weather should have them prepared no matter what Mother Nature brings that week. The regional assignments will be assigned on April 24. Each of the four regionals will have 18 teams and the top six will advance to the NCAA Championship May 17-22 at The Blessings in northwest Arkansas.